It's summertime! Do you want to know how to keep fit in a modern and new way? Let us introduce to you the latest fitness studio in Hong Kong-- XP Fitness Hub by Mary Lee! Whilst working as a flight attendant a few years ago, I been to many places where the culture is rich and captivating. Once witnessing the marvels of the world, I dreamt of bringing this fascinating vibe back to Hong Kong. When I dived into the world of entrepreneurship, I endeavored to incorporate that great feeling into everything I do. However, being an entrepreneur is not a walk in the park! Following Newton’s Third Law of Motion, “for every action, there is an equal and opposite reaction”, meant I had to make very crucial decisions, sometimes with dire consequences. Since 2015, when I started my entrepreneurial journey and opened my first studio, it has been a very bumpy ride not just for me, but also for everyone who supported me along the way. Fast-forward to now and I have learned a lot from my journey. I now bring to you XP FITNESS HUB from the ashes of my previous studio, built with passion, determination and perseverance. It is a place where innovation is key and we are determined to succeed. 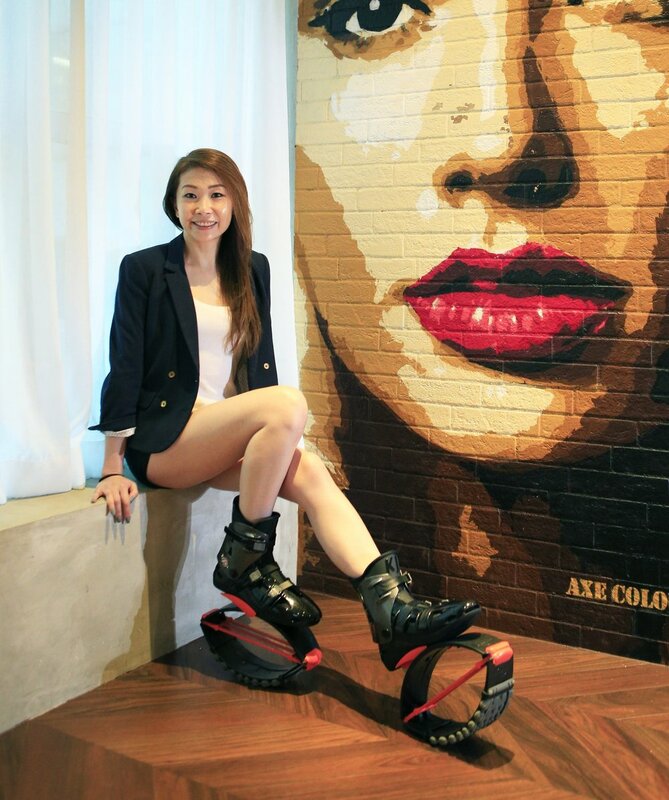 The studio explores and introduces unique, new programs to Hong Kong, such as Pound Rockout Workout and Kangoo Jumps! We want each one of our customers to feel the energy and drive we have every time they visit. So please come, try a new workout and feel the love! The world’s first cardio jam session inspired by the infectious, energizing and sweat-dripping fun of playing the drums. Originating in LA, I introduced this amazing program to Hong Kong last year. A worldwide leading brand for SAFE mobile rebound exercise. Designed to reduce joint stress and impact by up to 80% due to the shoes built-in Impact Protection System (IPS), which provide a higher degree of protection against injury to the ankles, hips, knees, lower back, and spine than any other sports shoe currently available. XP Fitness Hub is the first to introduce this rebound exercise to Hong Kong earlier this year. The shoes are originally from Switzerland. The elasticity of the sling trainer supports the use of gentle, elastic movements aligned with the user’s body weight. This makes training with this device even easier on your joints. A cross between Pilates and boxing, this unconventional trailblazer is redefining fitness. With a presence in over 92 countries and more than 1.5 million daily participants. Join the movement that empowers bodies and minds. The key to success is the ability to adapt and embrace change especially in the world of fitness. In this field where diversity is rampant, the only way to catch up is to learn new methods and introduce it to everyone! Eventually, from your innovative approach, creations will blossom that will help you reach the pinnacle of success. I admit that I can’t do everything by myself. I know that in order for me to succeed, I need to put my trust in my team. My team is something that I am truly thankful for; we are a team that shares the same goal, pursues the same passion and is not afraid to jump over failures; and has become a family where I truly belong.